Mcdonalds is doing a good deed and supporting efforts to help Fort McMurray after their tragic fires! 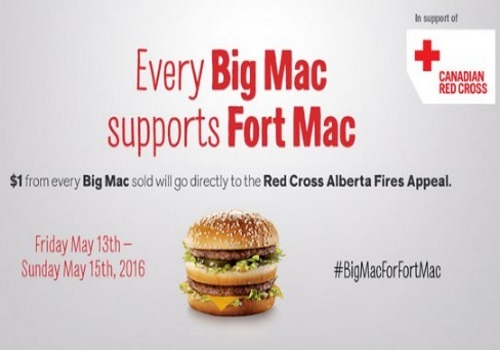 Every Big Mac supports Fort Mac! They are donating $1 from every Big Mac sold directly to the Red Cross Alberta Fire Appeal in support of Canadian Red Cross. This offer is valid Friday, May 13-Sunday, May 15, 2016. Also, click here for our earlier post with Mcdonalds coupons.